Hello lovely foodies! I’m again here with a new recipe for you! In winter season, we can see several of vegetables in market. Let’s go for a unique snack, made with some colorful veggies! I have shared so many snacks before, but most of them were non-veg! And all my vegetarian readers want some veg-snacks! So, I’m going to share the recipe of ‘Vegetable Chop’ – a very popular snack in West Bengal. Here I go……. Roast the all ingredients together and then grind to a fine powder. You can store this powder in an air-tight jar for months. You can use it to make more chops. Cook all the vegetables till they are mash-able. You can use a pressure cooker. Once cooked, drain water and mash the vegetables. Keep it aside. Now heat 1 tbsp. oil in a Kadhai or Frying Pan. Add grated ginger and chopped green chili. 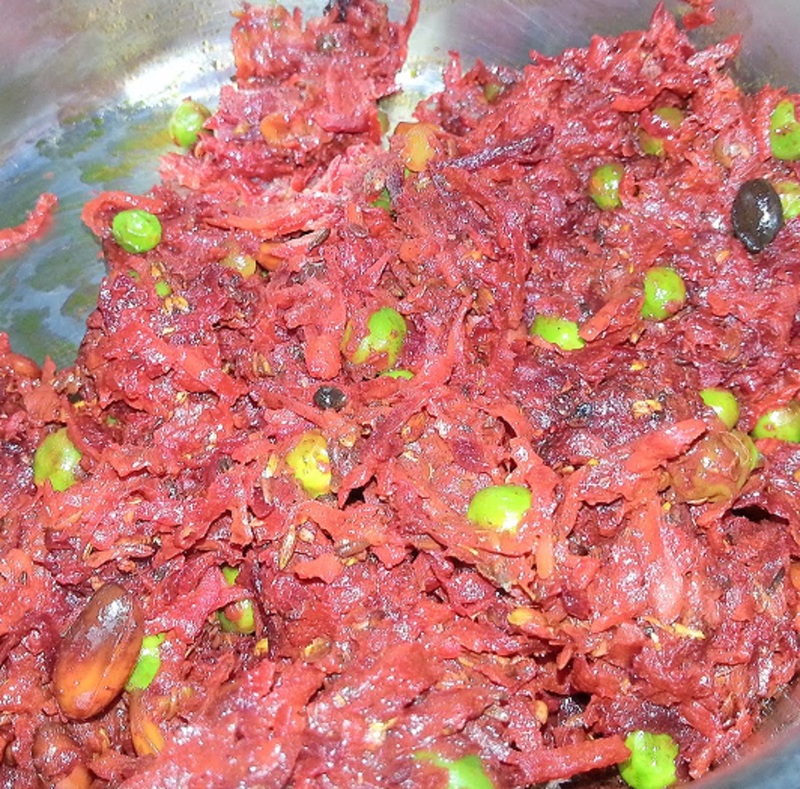 Next, add the mashed vegetables, 3 tsp of roasted masala, roasted peanuts, red Chili Powder, salt and sugar. Mix the mashed veggies with the masala very well and cook until the excess water dries. When this mixture becomes cool, divide it in equal part and make croquettes or chop. The usual shape is round or oval. Now, make a batter of cornflower and water. The batter should not be very thin. Dip the chop in the batter and roll in breadcrumbs. In a Kadhai heat enough oil for frying. Once the oil is hot, put the chops one by one in it and fry in hot oil till they become golden brown. Serve hot with tomato ketchup and a salad. When you cook the vegetables, add 1-2 tbsp of maida for binding if needed. You can add 1 tbsp of finely chopped coriander leaves and any other vegetables. You can refrigerate the croquettes/chops for an hour to set the chops. You can refrigerate these for about 4-5 days in a closed container.